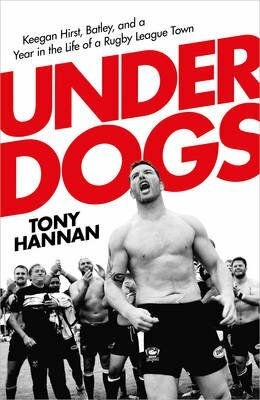 Underdogs by Tony Hannan. £18.99, hardback, 424 pages. Published by Bantam Press. So you’re an author, looking to pen the next best seller. You decide that spending a year with a sports club, taking in boardroom trials and tribulations, breathing in liniment (and more obnoxious odours) from the dressing room, and mingling with the fans will provide the ideal framework for your project. But which club do you choose? So many on offer: Manchester United maybe; what about the British Lions on a Rugby Union tour of the southern hemisphere? Nothing so grand or comfortable for writer Tony Hannan. He headed for the heart of West Yorkshire’s Heavy Woollen District where Batley have graced the Rugby League scene since the late 19th century. Once known as the Gallant Youths, since morphed into the Bulldogs, Batley were a major force during the early years of the game but are now only staying afloat in the RL’s second tier thanks to the generosity and tenacity of the chairman and support of a dedicated bunch of followers. This is no ordinary amateur RL club in an ordinary northern town. And the 2015/16 season certainly wasn’t normal at Batley’s sloping Mount Pleasant ground. What unfolds is a warts-and-all story of a remarkable time for the club on and off the field for the coaching staff, players and families, the fans, directors, kitman and tea lady. It was a time when the club somehow attracted the services of one of the best coaches in the game in John Kear, and when the club’s captain, Keegan Hirst, came out as being gay in the macho world of RL. Then there’s the gritty town of Batley, with its diverse community, thrust into the spotlight when its hard-working MP Jo Cox was murdered in June 2016. Hannan certainly had plenty of material at his disposal to make this book more than just a blow-by-blow account of RL on-field action. He has never been afraid to voice his opinions on the game’s hierarchy or the structure of RL, and his insight along with a cheeky sense of humour makes Underdogs a compelling read. Bill Mitchell’s Yorkshire – A Lifetime of Yorkshire Memories by David Mitchell. When W R (Bill) Mitchell died I wasn’t sure if I envied the task faced by his children David and Janet. Clearing out Bill’s Giggleswick home could have been a nightmare or a delight, stacked as the bungalow was with 60+ years of his writings, books, magazines, photos and memories. But David is a chip off the old block. He once contemplated following his father into a career in journalism but instead chose the teaching profession. Now retired, David is a regular writer and blogger himself and one of his first publishing actions following the death of his father has been to create this splendid compilation. The book should not be seen as a complete ‘best of’ Bill’s writing. David has managed to combine many of his father’s wonderful observations and thoughts gathered over decades of writing and editing magazines and books on a wide variety of subjects. There’s plenty of nostalgia and references to a rapidly disappearing way of country life. Included are previously unpublished pieces and the collection is presented in a logical and well illustrated fashion. Bill’s unfussy style, and his emphasis on people rather than things, make this collection an easy and compelling read. His ability to set a scene or describe a character with a short sentence or a pithy phrase is one reason why Bill’s work is so treasured. After reading the book I was left wanting more, so I do hope there is a ‘best of’ volume 2 on its way. The well into which David has dipped so expertly is far from depleted. 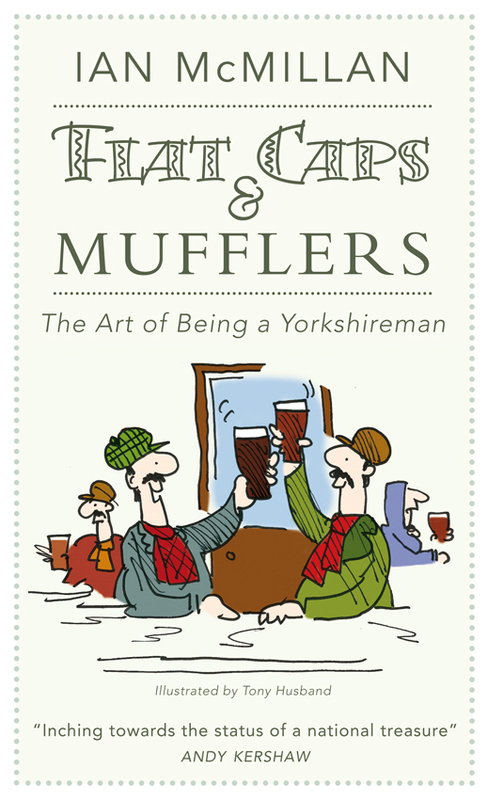 Flat Caps and Mufflers – the Art of Being a Yorkshireman by Ian McMillan, illustrated by Tony Husband. Back in 2008 when I was editing Dalesman magazine I was lucky enough to persuade the short but very talented Ian McMillan to write a short column for a short amount of money. Through a translator I also got the equally talented Lancastrian cartoonist Tony Husband to illustrate Ian’s monthly offerings. The readers loved the duo’s wit and observations and the column continues today long after my departure from the editor’s chair. This book brings together all those wonderful articles and cartoons in one volume. 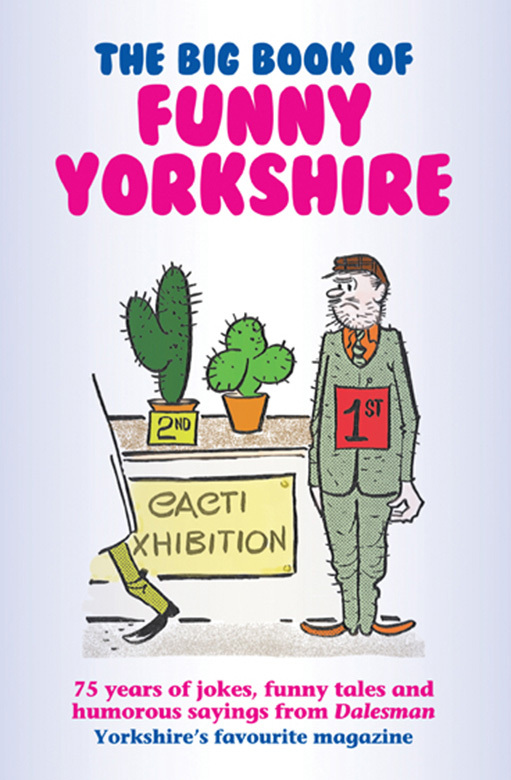 If you’re from Yorkshire the book will remind you of how you should behave and dress properly. If you’re unfortunate enough to have been born outside the sacred boundary then you’ll learn a lot… firstly, you’ll need to buy a flat cap and muffler. 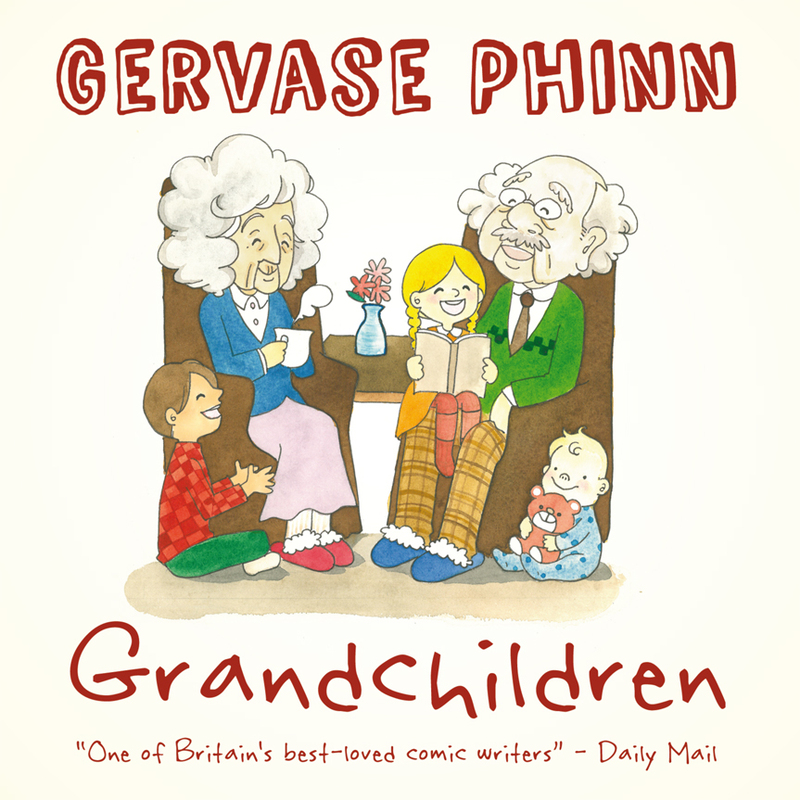 Gervase Phinn is well known as a brilliant storyteller, author and school inspector. But more importantly to him – he’s a granddad. In this jolly and lively little book Gervase offers hundreds of amusing anecdotes, quotes and tales about grandchildren and grandparents garnered from his own and other people’s experiences. Also included are poems written by Gervase and children, while Japanese illustrator Misato Fujisawa adds colourful drawings. Firing a child’s imagination through good old fashioned print on paper is not a dying art, as Chris Madeley is proving with her Cones series of books. 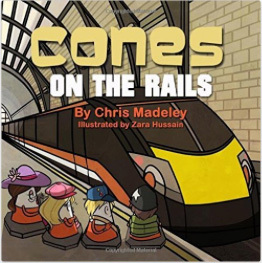 I was due to attend the launch of Chris’s third book, Cones on the Rails, at York’s National Railway Museum on May 15th but due to continuing sciatica problems I had to unfortunately miss out. Besides being an entertaining and light-hearted read featuring characters based on objects which children see every day, the book has an underlying message about safety on and around our railways. Chris had consulted rail safety advisors at Grand Central Rail who in turn named a train after one of the book’s characters, Concourse Conetroller, for the launch. The book is superbly illustrated by Zara Hussain. Other titles in the series include Meet the Cones and Cones Make New Friends. 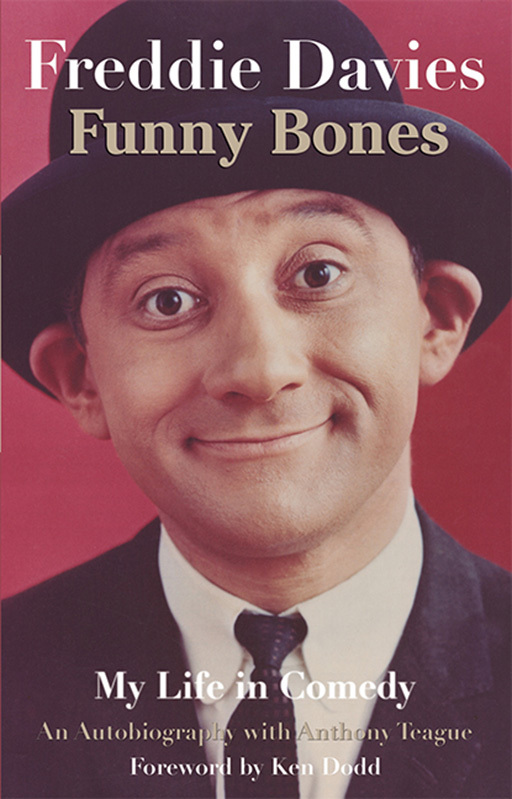 Published by Fisher King Publishing ISBN 978-1-910406-32-8. £6.99. Available from all good bookshops and via Amazon. 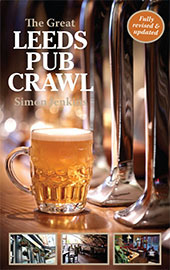 The well-established imbiber’s bible for Leeds has been expertly revised and updated by top beer writer Simon Jenkins. You don’t need to be a real-ale buff to appreciate this work, which incorporates the history and architecture of some of the city’s best pubs and bars. A new age in beer drinking has dawned over the last ten years or so with the emergence of local breweries, craft ales and a greater range of international bottled beers and lagers. Thankfully, no longer do we have to put up with supping mass produced, bland keg ale in identikit pubs. Leeds is lucky to have a wealth of traditional, well-kept watering holes and I look forward to sampling some (perhaps not all) of the 63 included in this excellent book. It won’t be long before my bus pass lands on the doormat (unless there’s another government u-turn, of course). I’m looking forward to receiving it even more now I’ve read of the author’s great adventure. 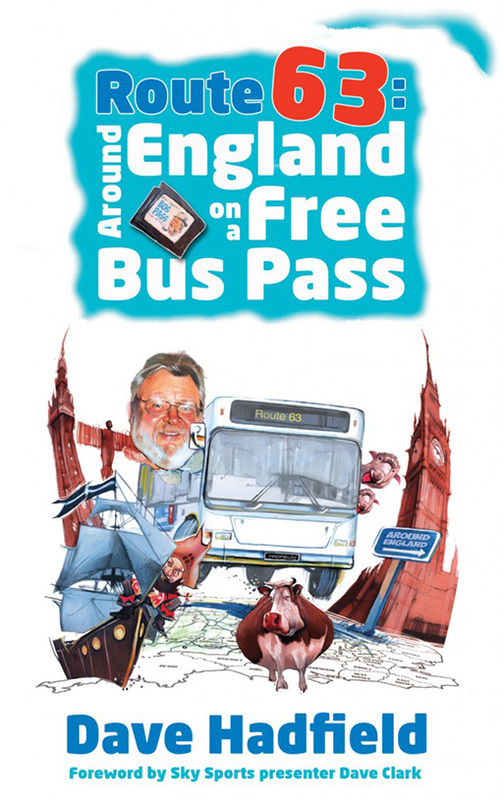 ‘Bolton’s Bill Bryson’ embarks on a memorable journey around England involving more than 100 buses, and describes the off-beat characters he met and the wonderful places he visited. 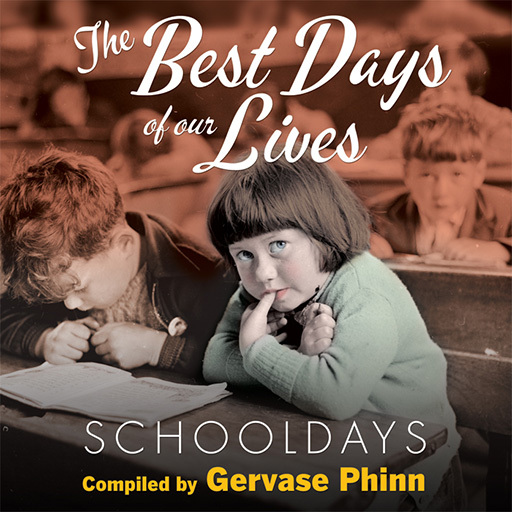 A wonderful collection of childhood memories and recollections, brought together by former school inspector turned best-selling author Gervase Phinn, who also recollects his own schooldays. Yours truly is quoted several times. There is plenty of humour, triumphs and traumas, and a little sadness and regret. Includes nostalgic photos. 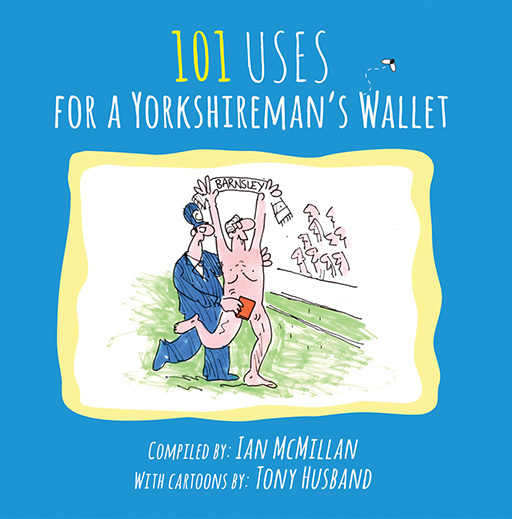 The fertile minds of the Bard of Barnsley, Ian McMillan, and top cartoonist Tony Husband combine for the third in the series, following on from 101 Uses for a Yorkshire Pudding and 101 Uses for a Flat Cap. They prove that a Yorkshireman’s Wallet is much more than just a receptacle for second-class stamps or a breeding ground for moths. The author immerses himself – literally and metaphorically – in Yorkshire’s celebrated limestone country and emerges with a classic. A thorough examination above and below ground which will appeal to walkers, cavers and those who want to know more about the geology and history of this beautiful region. Not a stuffy textbook, more of an adventure with plenty of humour along the way. Those of a certain age remember ‘Parrot Face’ from the 1960s who became famous overnight after appearing on Opportunity Knocks. But much more happened to Freddie Davies before and after becoming a household name. His life has been tragic, adventurous and hilarious. There’s probably a little too much name-dropping for my liking but nevertheless a gripping behind-the-scenes tale. 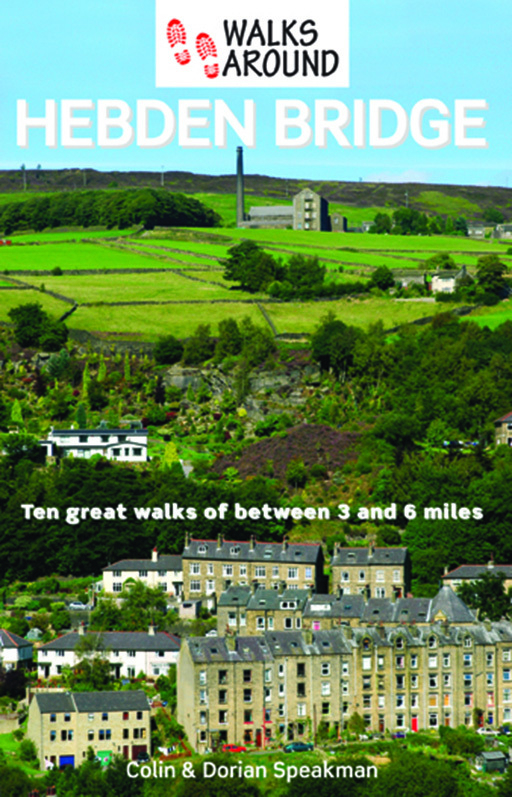 Ten great walks in atmospheric Calderdale, all between 3 and 6 miles, suitable for all ages and abilities, in a handy pocket-sized book. Clear and detailed route directions and maps plus essential information about where to park, how to get there by public transport, and where to eat and drink. For more than 75 years, Dalesman magazine has been collecting hundreds of these gags, jokes, tall tales, anecdotes and sayings from across the three Ridings. 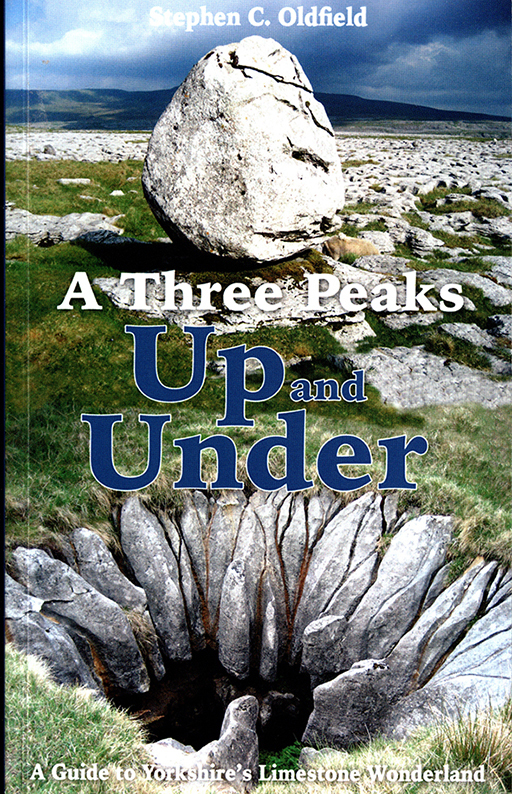 In this new book is a collection of proper Yorkshire humour, taken directly from the Dalesman archives. 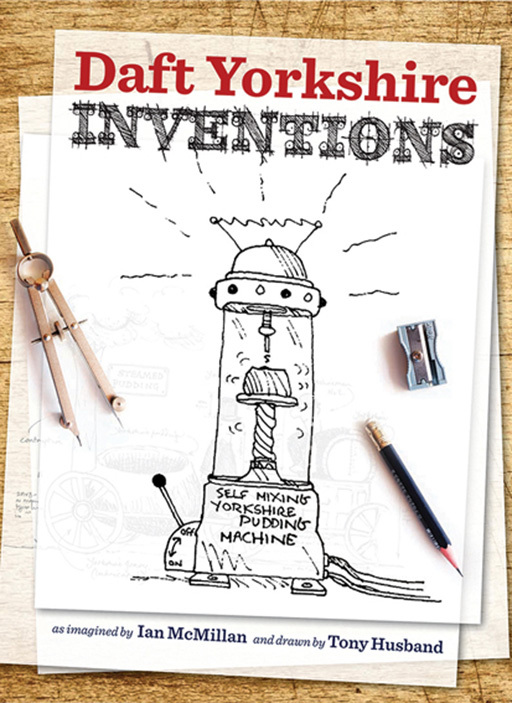 Crazy contraptions dreamt up by the poet and the cartoonist, such as the Steam Clog, the Patent Wallet Clamp, the Super Tensile Teabag Washing Line, and the the Self-mixing Yorkshire Pudding. Mad as a box of frogs.